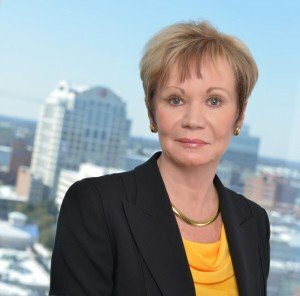 F. Hunter Hampton, PC advocates for clients in Estate Planning, Family Wealth Transfers and Probate and Estate Administration cases. Based in Norfolk, I am familiar with the courts throughout all of Virginia. I have the necessary skill to help you resolve your legal problem. With over 20 years of experience, I am focused on your success. Please read my profile to learn more about my professional backgrounds. Estate Planning: I handle Virginia estate planning matters involving tax issues, guardianships, wills, trusts and more. I am dedicated to protecting the financial security and well-being of you and your family. Probate and Estate Administration: At F. Hunter Hampton, PC, I guide will executors and estate administrators through the complex probate process with assistance in collecting, valuing, protecting and liquidating the assets of the estate. When you retain the services of F. Hunter Hampton, PC, you can be assured that your attorney is fully qualified to take on your case. F. Hunter Hampton, PC sees your case through from start to finish. Let me work with you to address your legal concerns. My offices are conveniently located in Norfolk. Call the firm at 757-497-3200 to arrange your consultation or contact the firm online. F. Hunter Hampton, PC is located in Norfolk, VA and serves clients in and around Norfolk, Portsmouth, Fort Monroe, Hampton, Virginia Beach, Chesapeake, Chesapeake City County, Hampton City County, Norfolk City County, Portsmouth City County and Virginia Beach City County.